We have two introductory booklets. The first is our most recent. 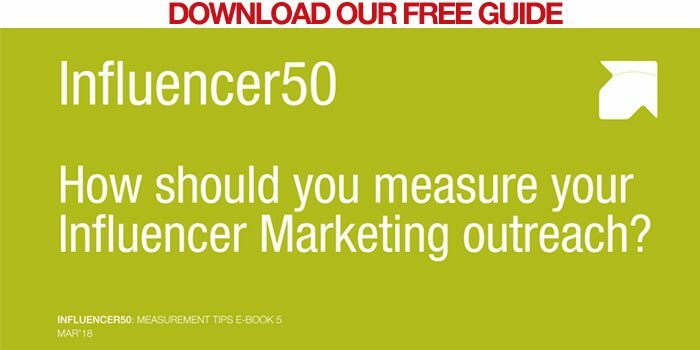 Issued in June 2017 this is our 15-page PDF, ‘Who Really Influences Your Customers: Ten Questions to ask first’. The second is an introductory slide deck. We can’t just allow this deck to be anonymously downloaded as it explains our approach, our clients and our methodology in greater detail. If you’d like to see it, just email us. 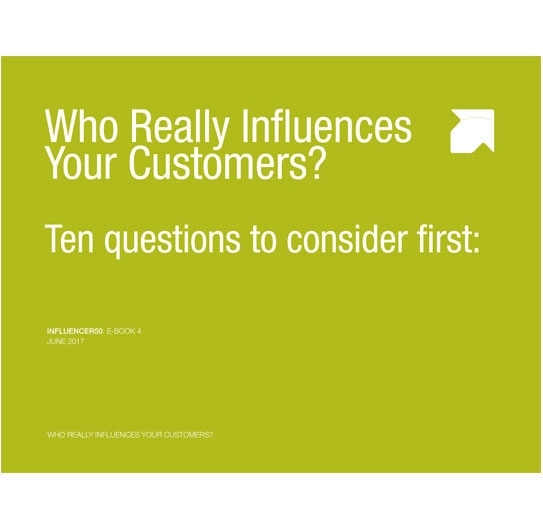 Here’s our 15-page PDF, ‘Who Really Influences Your Customers: Ten Questions to ask first’. Questions like “Who signs your company’s check?” and “What would a win-loss analysis uncover for you?”. 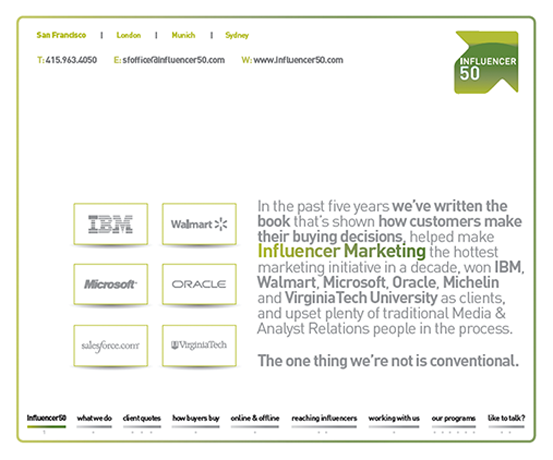 This 2013 slide deck explains our approach to our work, details of our services and some client case studies. We can’t allow it to be anonymously downloaded but if you’re interested, just email us and we’ll be happy to send a copy. Fill out the form below and download your copy of our Ten Questions To Ask First: Guide. Influencer50 Inc. © 2018 All rights reserved.